The “Honors” section of the Common Application is every ambitious student’s dream: a space made specifically for you to list the fruits of your hard work and effort in high school. The awards and honors you select to populate the 5 spaces need to demonstrate your talents and accomplishments, all while fitting into a brief 100 characters. Choosing which honors to include — and how to describe them — can be tricky business. Thankfully, we’re here to help. Read on for tips on how to best utilize the Honors section of your Common Application. Looking for more advice on how to master the Common App? 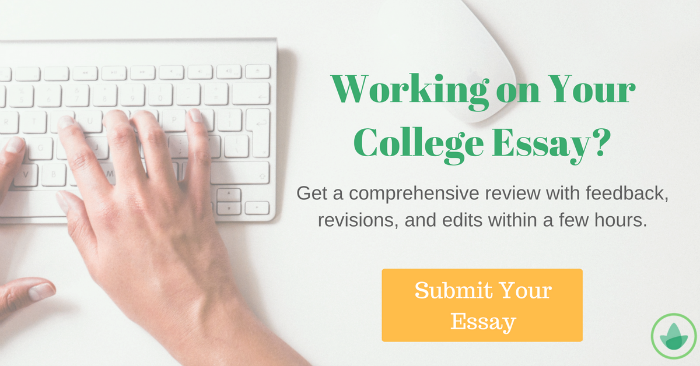 Check out our blog post How to Write the Common Application Essays 2017-2018. What Kind of Things Can I Include in the Honors Section? When first faced with the Honors section, you may find yourself drawing a blank. If you haven’t won any national cello performance competitions or been named a National Merit Scholar, you probably don’t have anything worth listing, right? Wrong! There’s a common misconception that only the most prestigious, well-known, or ostensibly impressive awards should be listed on your application. In reality, any recognition of academic accomplishment can and should be included in this section. Even if you don’t think you’ve won any awards worthy of note, there’s probably at least a couple commendations that you could include. The Common App classifies honors as school-wide/local, state, and national awards. Some examples of school-wide or local awards could include membership in your school’s chapter of the National Honor Society, honor roll or principal’s list, or a “Biology Student of the Year” award. In addition, extracurricular awards from competitions held at a local level, such as Mock Trial county champion or 1st place in your area’s Academic Decathlon, can all be listed on your application. State awards, such as an award for best oboe performance in the state of California or top Science Olympiad score in Massachusetts, are usually considered more prestigious than local awards, since they are selected from a larger group. Finally, students can list national awards on their applications. Titles like National Hispanic Scholar, AP Scholar (and AP Scholar with Honors, AP Scholar with Distinction, etc.) are all national honors. Many of the most prestigious and competitive honors are awarded on a national scale, such as National Merit Scholar. How Should I Organize and Describe Honors on my Application? Many of the strategies for describing activities on the Common Application apply to the honors section as well. Just as activities should be ranked according to their prestige and your degree of involvement, honors should be listed with the most competitive and well-recognized awards first. Generally, national awards should be listed first, followed by state awards, followed by local awards. The 100 character limit can make describing awards difficult. In order for these brief descriptions to be as impactful as possible, we recommend quantifying the value of the award to the greatest degree possible. Include the technical qualifications for the honor or award (if any), the numbers of students in the group from which the honorees were selected, and the number of honorees. This is especially helpful for local awards with which admissions committees will be less familiar, but can also emphasize the competitiveness of certain large-scale awards. Though acronyms seem like a perfect solution to constricting character limits, their use should be avoided if possible: No adcom knows that MHSBPACA is the Montgomery High School Band Parents Association Community Award. Your job is to balance the need for a brief character count with clear, effective descriptions of each award. Finally, don’t be picky about what you choose to include. There are 5 slots available, and you should try and fill all of them if possible, even if you may initially think you have nothing to include. Honor roll, membership in an honors society, AP Scholar — such awards are fairly common and can all serve to add another dimension to your application. If you have the opposite problem and feel as though you don’t have enough space to list all your honors and awards, begin by listing those which are most selective or competitive, and then those most relevant to your potential major or desired career path. Leftover awards can be strategically placed in the descriptions of the Extracurricular Activities section or in the Additional Info section. Each section of the Common App, big or small, presents a valuable opportunity to demonstrate your accomplishments, personality, and passion to admissions committees. The Honors section is no different — though you only have space for five 100-character descriptions, you can seize the opportunity to show adcoms that not only are you talented and accomplished in your academic and extracurricular pursuits, but you also have the evidence to back it up. Follow our tips for making the most of your Honors section, and you’ll be one step closer to making your Common App the best it can be!